Startup ultra-low cost carrier Canada Jetlines has selected the web-based TRAX eMRO software as its ERP maintenance solution. "TRAX's products provide the means to manage and maintain all information generated and allows for complete information flow with leading-edge tools for customization that will enable Jetlines to maintain an efficient process and tight cost control as a result," said Phillip Larsen, Vice President of Maintenance. 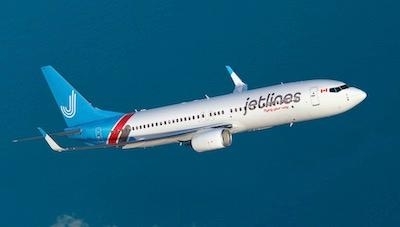 Jetlines is set to fly across Canada and offer non-stop service from Canada to the United States, Mexico and the Caribbean. The carrier plans to fly some 27 routes, including to unserved or underserved markets by other airlines, such as Hamilton, Ontario to Halifax, Nova Scotia. Delivery of two Airbus A320s are expected by early 2nd quarter of 2019, with long term plans to expand to 24 aircraft. The sister aircraft have a high-density seating configuration of a single class seating capacity of 180 seats. An Airbus A320 fleet was selected based on its fuel-efficient narrow-body framework, making it an ideal choice for Jetlines to start operations with. The TRAX eMRO software is a web-based, device-agnostic ERP product that will keep its users connected from wherever they work. It is a complete system with complete information flow. The numerous system modules cover technical, maintenance, materials, financial, and quality management to help reduce downtime, provide access to real-time data, and ensure full regulatory compliance.